In the late 1990s and early 2000s, the annual WOW GOSPEL collection was my personal tutor for learning about the gospel scene. Back in those days, I was focused exclusively on vintage gospel music, and particularly the contributions of quartets. I looked forward with great anticipation to the next WOW GOSPEL project so I could take another lesson in modern gospel. I often purchased the two-CD set the day it was released. 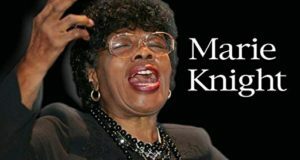 It was through WOW GOSPEL that I first encountered Richard Smallwood’s “Total Praise,” Mary Mary’s “Shackles (Praise You),” Rev. Clay Evans’ “I’ve Got a Testimony,” and many other popular gospel hits. I was not alone in my enthusiasm, because WOW GOSPEL collections have been among the most consistently selling gospel music CDs of the modern era. They have gone Gold and Platinum. The series turns twenty years old today with the release of the latest installation: a two CD, 30-song collection and a companion 11-video DVD. In both pop and sacred music, many of the newest selections come from the youth. 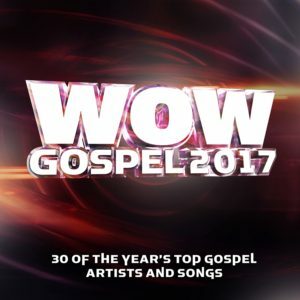 On WOW GOSPEL 2017, we hear Jekalyn Carr (“You’re Bigger”), who was born the year the first WOW GOSPEL set came out. Bri Babineaux (“I’ll Be the One”) was a preschooler, and Casey J (“I’m Yours”) was in knee pants. But longstanding contributors are here, also. These include Kirk Franklin (“Wanna Be Happy?”), Hezekiah Walker (“Better”), Marvin Sapp (“Live”), Ricky Dillard & New G (“Celebrate the King”), Richard Smallwood (“You Brought Me”), Erica Campbell (“The Question”) and Donnie McClurkin (“Stand” [Live]). 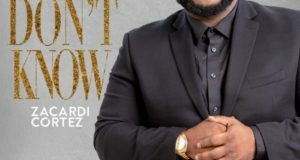 While gospel enthusiasts have heard these songs on radio, there might be a song among the thirty cuts that evaded them initially. For me, that was Tim Bowman Jr.’s upbeat and inspirational “I’m Good” and Erica Campbell’s “The Question.” A reunion with Jonathan McReynolds’ acoustic ballad “Pressure” hammered home the challenges youth face, what writer Jonathan Franzen calls the “tyranny of Cool”—being led by one’s peers to do things that don’t feel right and aren’t right. Despite the popularity of Praise & Worship and megachurch-ready vertical praise songs, the 2017 collection focuses on selections more powerfully passionate in delivery and encouraging in message than a worship team’s go-to catalog of overture music. Notwithstanding the lack of quartet and traditional nods (although one could argue Pastor Shirley Caesar’s “It’s Alright, it’s OK” with Anthony Hamilton counts as trad), WOW GOSPEL 2017 is well curated, nicely paced, tuneful, lyrically diverse—a treat to the ears and the soul. And for someone who wants a lesson on modern gospel, as I did twenty years ago, WOW GOSPEL 2017 is your tutor-in-waiting.